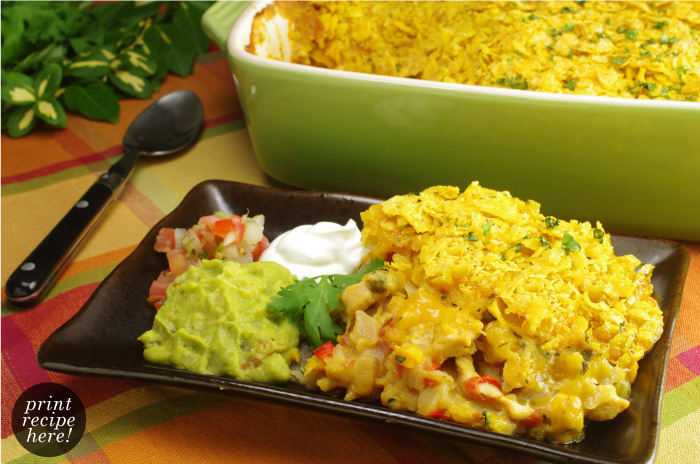 In the Southwest every cook has his or her own favorite version of this casserole. 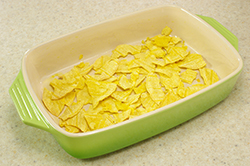 It always contains corn tortillas or tortilla chips and other Southwestern flavors. The problem with many of these recipes is that they call for so much canned soup that the resulting casserole is extremely salty. Here’s my take on the idea. 2. 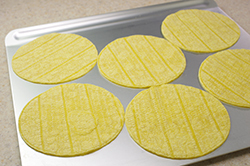 Spread out the tortillas on 2 baking sheets and brush both sides with corn oil. Bake for 12 minutes, shifting the pans around halfway through baking, until the tortillas are crisp. 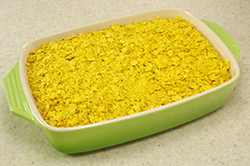 Remove from the oven, cool, and break into pieces (about 1-1/2 to 2 inches wide). 3. 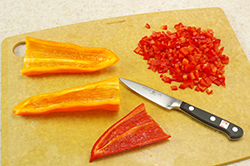 Reduce the oven temperature to 350°F. Coat a 9-by-13-inch baking dish with cooking spray and spread half of the toasted tortilla pieces over the bottom. Set aside the rest. 4. 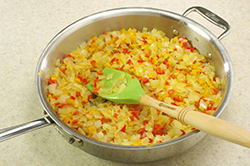 In a heavy nonstick skillet over medium heat, melt the butter and add the garlic, onions, poblano pepper, and ground cumin. 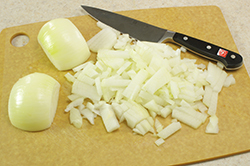 Sauté for 2 or 3 minutes, until the mixture is aromatic and the onions are softened. 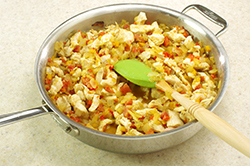 Add the tomatoes and chiles with their juice and the chicken and cook, stirring, until the chicken in no longer pink. Stir in the flour and slowly add the chicken broth, stirring to remove any lumps. Cook for 3 minutes. 5. 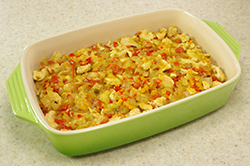 With a slotted spoon, remove the chicken and cooked vegetables from the skillet and spread evenly over the tortilla pieces in the baking dish. 6. Add the cream to the liquid in the skillet and cook, stirring, until the sauce has thickened, 3 to 4 minutes. Season with salt and pepper to taste and set aside. 7. 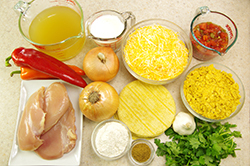 Sprinkle the chicken and vegetables with half of the cheese and half of the chopped cilantro. Pour the thickened sauce over evenly. Top with the reserved toasted tortillas, then with the remaining cheese, and finally with the crushed tortilla chips. 8. Bake, uncovered, until the filling is bubbling, about 30 minutes. Sprinkle with the remaining cilantro. 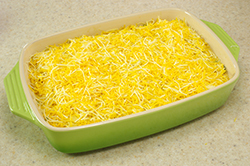 NOTE: Colby Jack cheese is a blend of Monterey Jack and Colby. 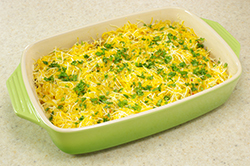 If it is not available in your stores, use a blend of half Monterey Jack cheese and half mild Cheddar.